Finally getting around to those Panama Pictures! 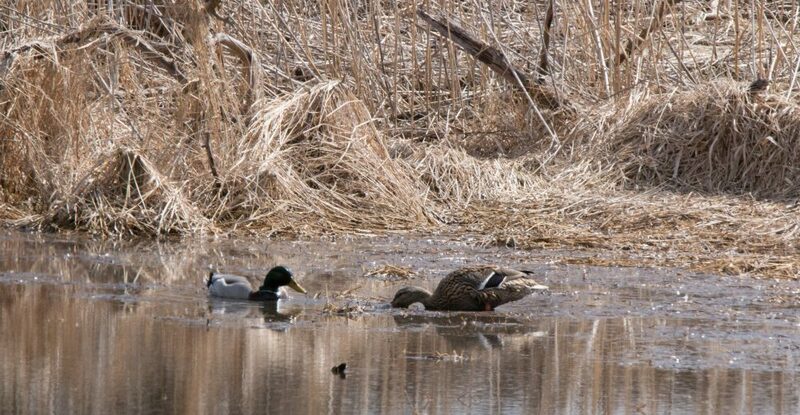 Life keeps getting in the way, and of course with spring migration just starting there have been other distractions. But I keep thinking there’s a better solution to my madness somewhere. Maybe that’s what keeps me going. The madness, I mean. If I find the solution, it might all come to a halt. Ah the Tanagers. 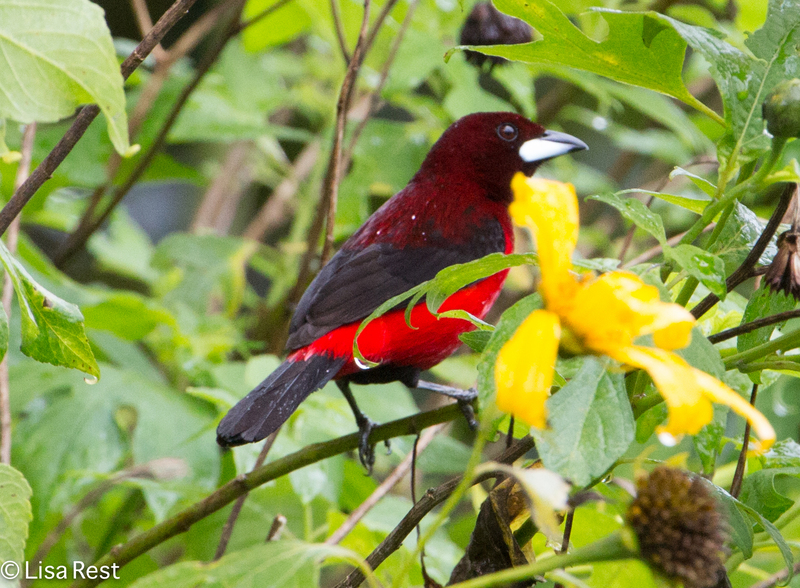 Above, probably one of the most common we saw, the Crimson-Backed Tanager, with the male lower left and the female on the right, showing her crimson back. Lucky for me there were only a few possibilities to worry about. 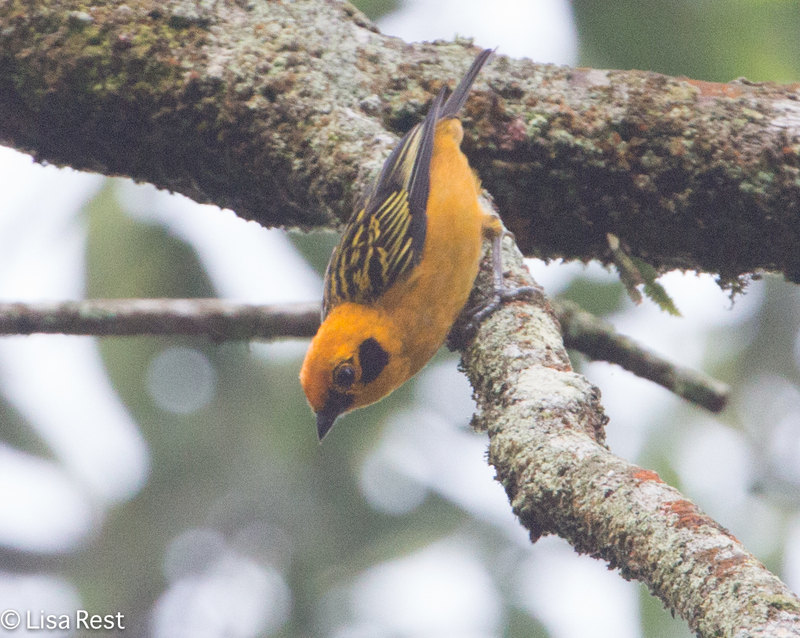 The tanagers in some places, especially if they are traveling in a flock, can be confounding. 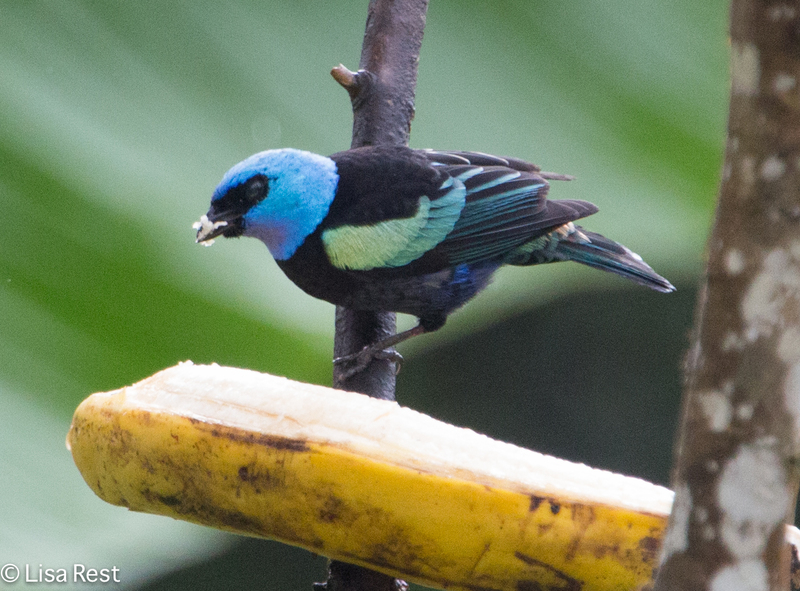 From gaudy to drab – below, the Plain-Colored Tanager on the left and the Palm Tanager on the right. But I think they have their own subtle beauty. 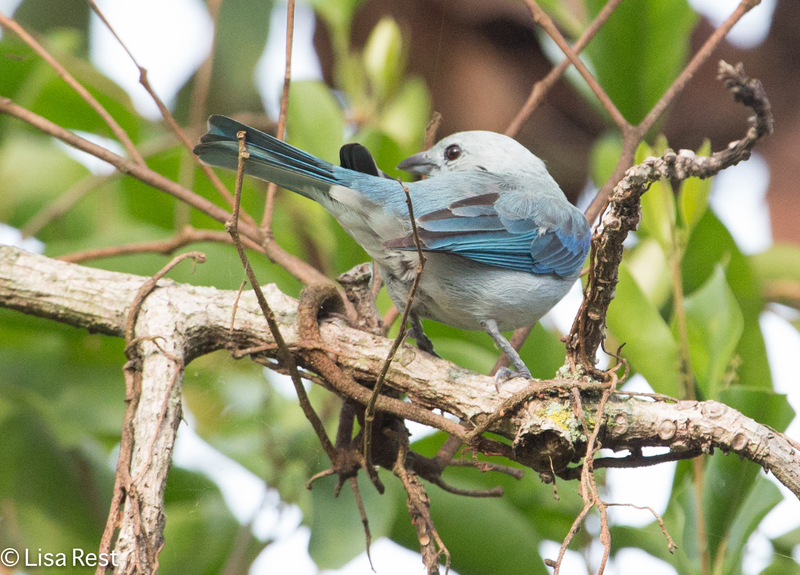 And below, a White-Shouldered Tanager and the ubiquitous Blue-Gray Tanager which always makes me have to decide whether to spell it Gray or Grey. All these photos were from the first full day of the trip. Which means there are more days to come (and for me, more pictures to process). We did not travel far from either lodging location, spending four nights at the Canopy Tower and another two nights at the Canopy Lodge in El Valle, the days and locales having blended into a continuum in my head by now, so I won’t have a lot of commentary to contribute. Now that I’ve decided to leave the monster lens at home next time I travel, maybe my dream companion would be a scribe instead of a sherpa. Both locations had feeders which made it easier to see some of the birds, particularly hummingbirds. White-Necked Jacobins dominated the feeders but you don’t always see the white neck they were named for, so there it is in the picture below. The hummingbird on the lower right is a White-Vented Plumeleteer. Unfortunately the white vent isn’t very easily distinguishable but I like the illumination on the throat. 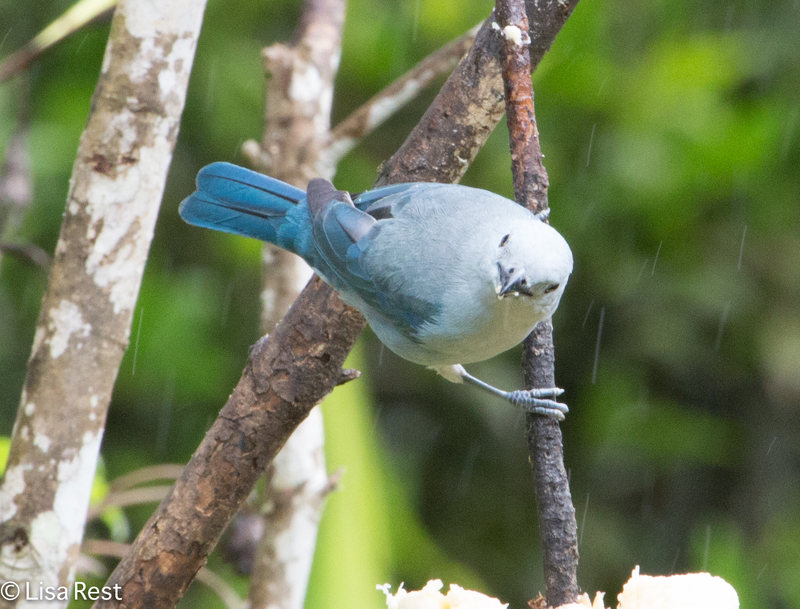 Elusive antbirds are always a challenge to see. We got lucky with the two below. 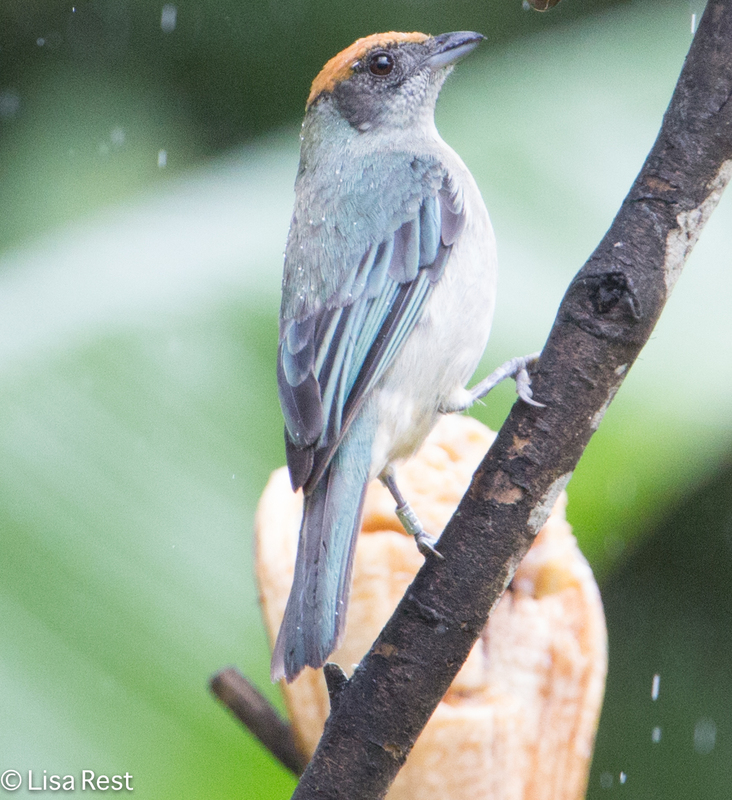 A Fasciated Antshrike and a Dot-Winged Antwren. 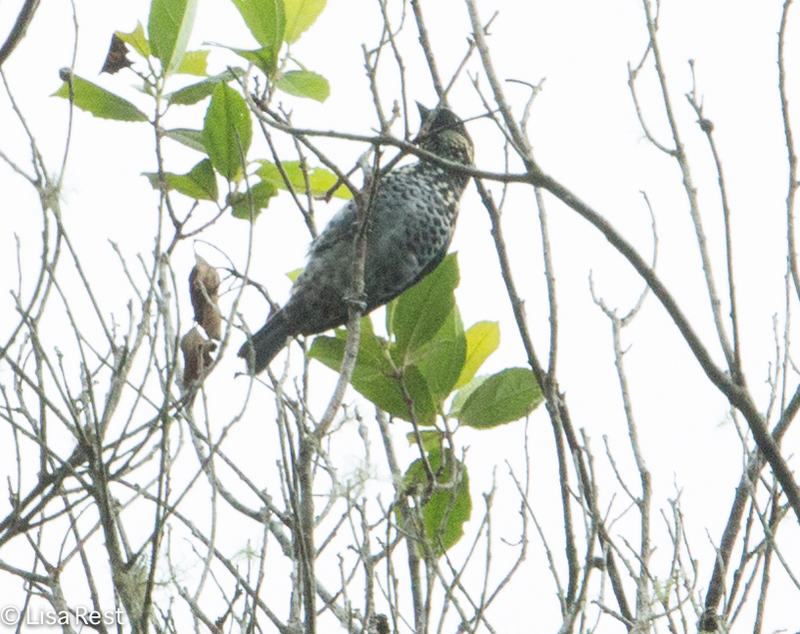 The two puffbirds below look almost identical except on very close inspection, which likely kept me poring over the field guide for several minutes. On the left is the Pied Puffbird which I saw last year in the Amazon in Ecuador, and on the right, Black-Breasted Puffbird. Two flycatchers, the Black-Headed Tody Flycatcher, which is a new one for me, and the Dusky-Capped Flycatcher. Below is a Streaked Flycatcher, not usually seen from the back, but after 20 or more shots he still wouldn’t turn around so I gave up. The Rusty-Margined Flycatcher below can be confused with Greater Kiskadee, Social Flycatcher, until you get the hang of telling them apart. Back to the elusive with a fairly common but hard-to-get-a-good-photo Squirrel Cuckoo. The picture on the lower right gives you more of an idea of how far away it was. 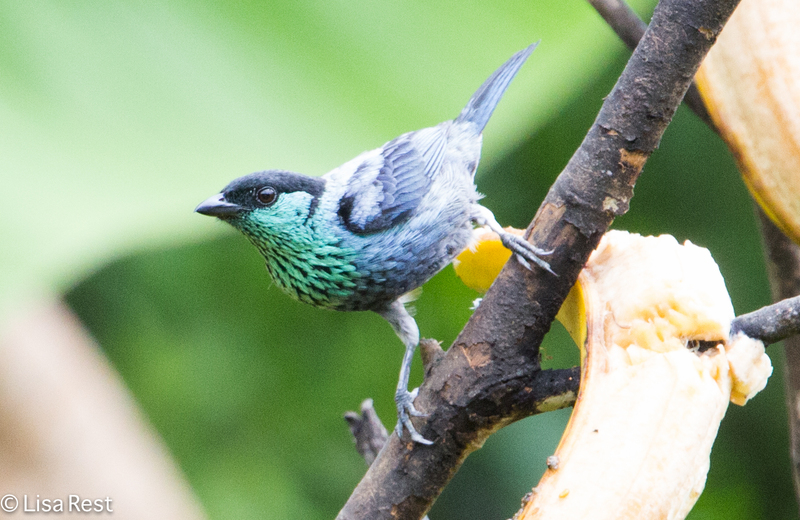 Below, a Red-Legged Honeycreeper is the bright blue guy, and the green bird is a Blue Dacnis female. I’m starting to get these guys confused! Below, a Pale-Vented Pigeon and a Gray-Headed Chachalaca. Click on the pictures if you want a better view, especially of pigeon colors. I love this pigeon. You will see it again in a later post. Two more for the trying-to-be-elusive list. Cocoa Woodcreeper on the left and Cinnamon Woodpecker on the right. There’s a lot more but I think I better give us all a break. Which means I can be back that much sooner! Thanks for stopping by! On the morning of July 7 at Sacha Lodge in the Ecuadoran Amazon, we went up to the “metal towers” which are three towers strung together with canopy walkways in between. I don’t seem to have a picture of the first tower from the ground before we climbed up, but the view at the top was astounding. Above, there are two Pied Puffbirds on one of the walkways between the towers, what the walkways look like and the platform on top of one of the towers. 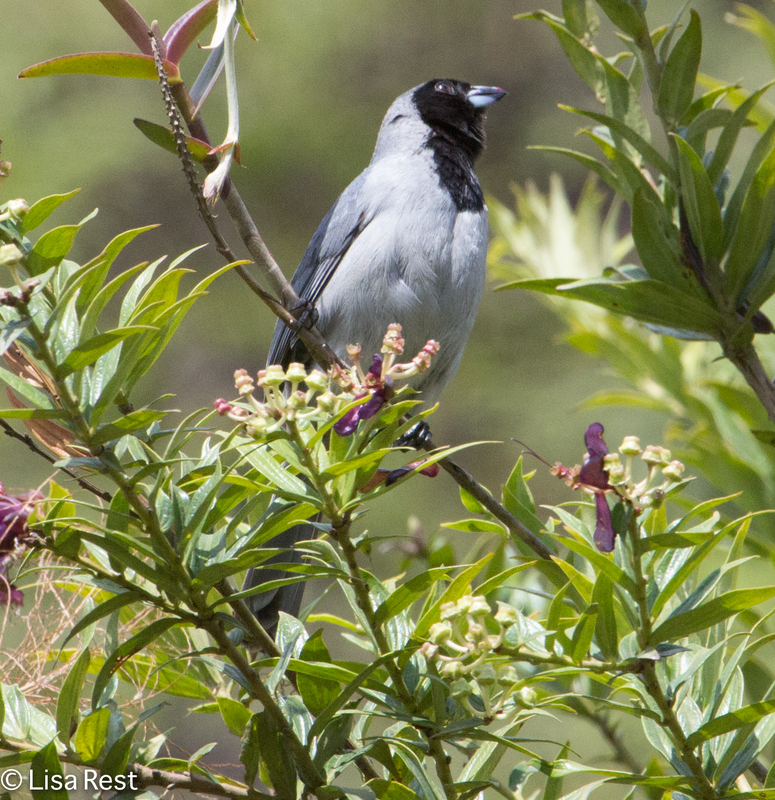 Below, I got a closer view of one of the Pied Puffbirds. The Toucan below wasn’t as close as the Puffbird but large enough to capture, even if he thought he was hiding behind the limb that obstructs his bill. 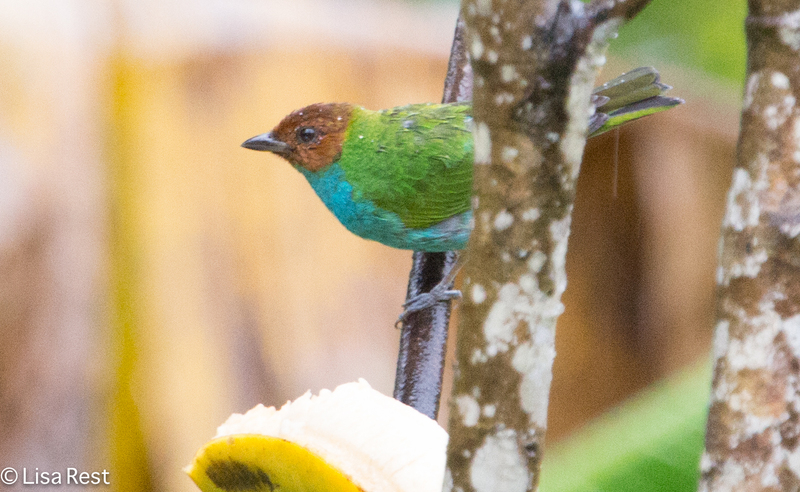 Below, a Palm Tanager and a Wing-Barred Piprites. The Lanceolated Monklet was far away too, but too cute to pass up. 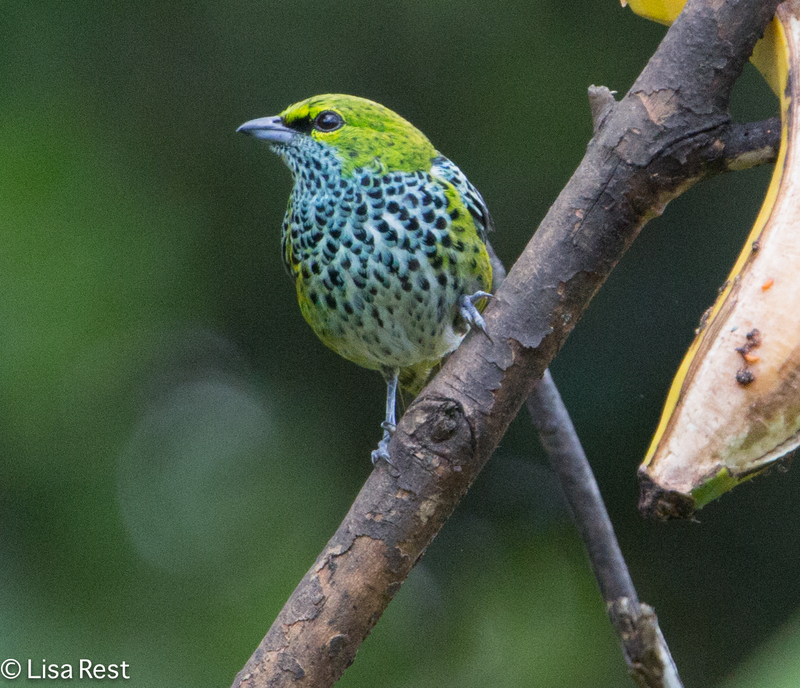 The Spangled Cotinga is definitely a canopy bird, always perched up high. In the afternoon we were back in the canoe. There’s a little video from the canoe below to give you the feeling of it. At some point we saw the Gilded Barbet below but I think it might have been up at the tower. I may have to start taking notes while I’m taking pictures. Two more classy woodpeckers to add to my list, the Chestnut and Cream-Colored. I do remember the Cream-Colored Woodpeckers below were seen from the canoe. Below, a short trip in the canoe. Don’t ask me what’s flying around, whether it’s a bird or a butterfly, before we stopped to see what Oscar, our guide at the front of the canoe, was pointing out. The Duida Woodcreeper has been split from the Lineated Woodcreeper and I think this is it in the picture below. From the ground, not the canoe, we saw these adorable Spix’s Night Monkeys peering out from their daytime hole. It was a great day for Aracaris and Toucans. The Ivory-Billed Aracari was up at the tower. Likely I’ll be back with one more post from the last day and a half in the Amazon and then it’s on to the Galapagos. The idea occurred to me when I was going through these photographs and the field guides that if you had a coloring book with page after page of tanagers to fill in, you could never come up with all of nature’s possible combinations. 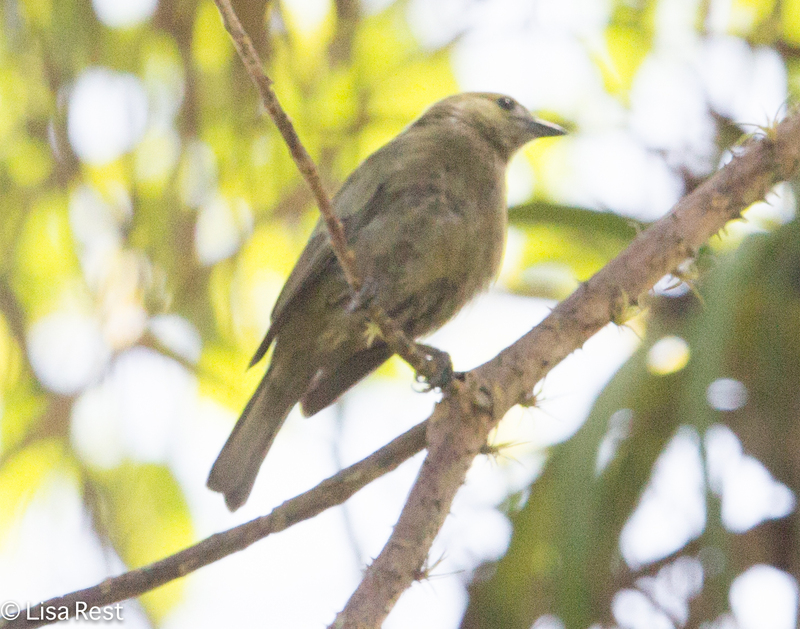 We were very fortunate to be staying at the Chestnut-Capped Piha Reserve, where the feeders attracted a variety of tanagers. These are generally the photos taken with bananas in them. 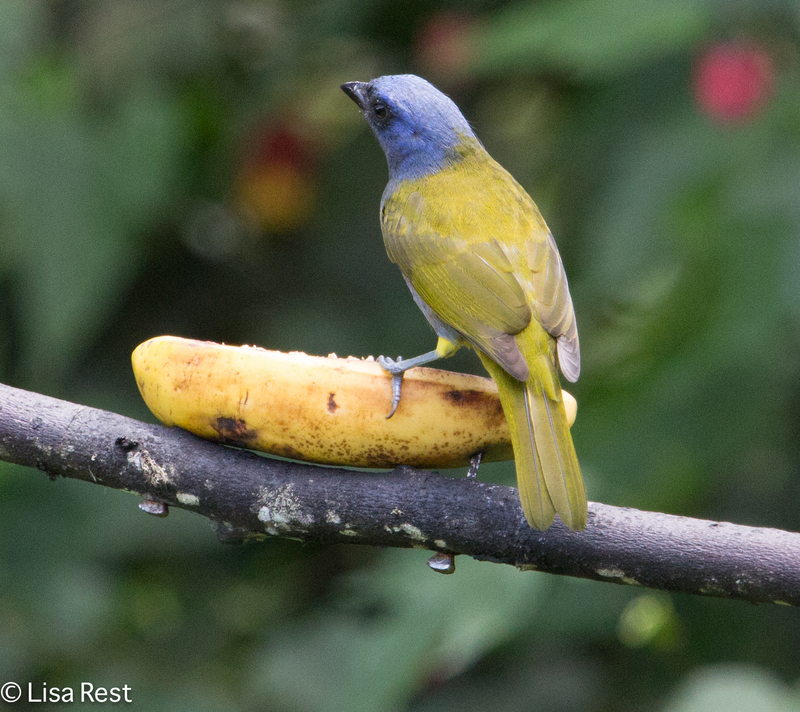 Some of the tanagers were familiar, like the ubiquitous Blue-Gray Tanager, the Bay-Headed Tanager and the Speckled Tanager. 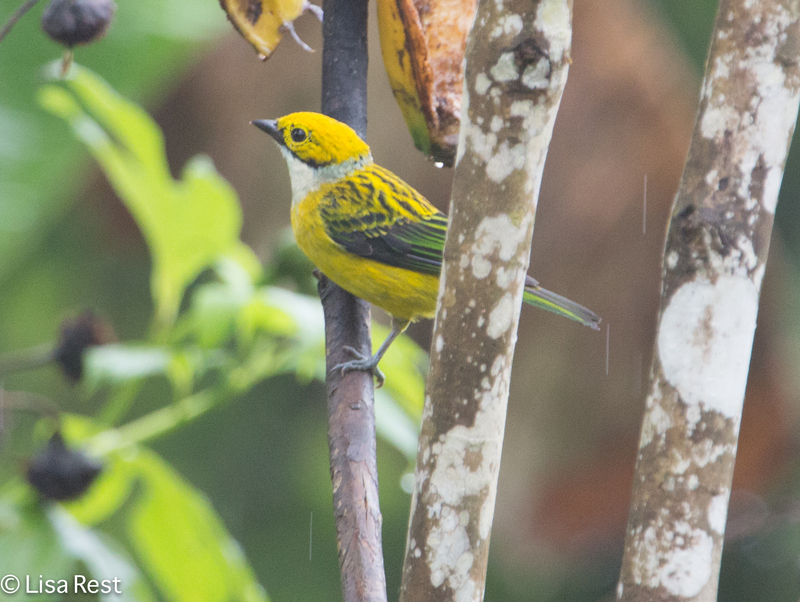 I had also seen Palm Tanager before. 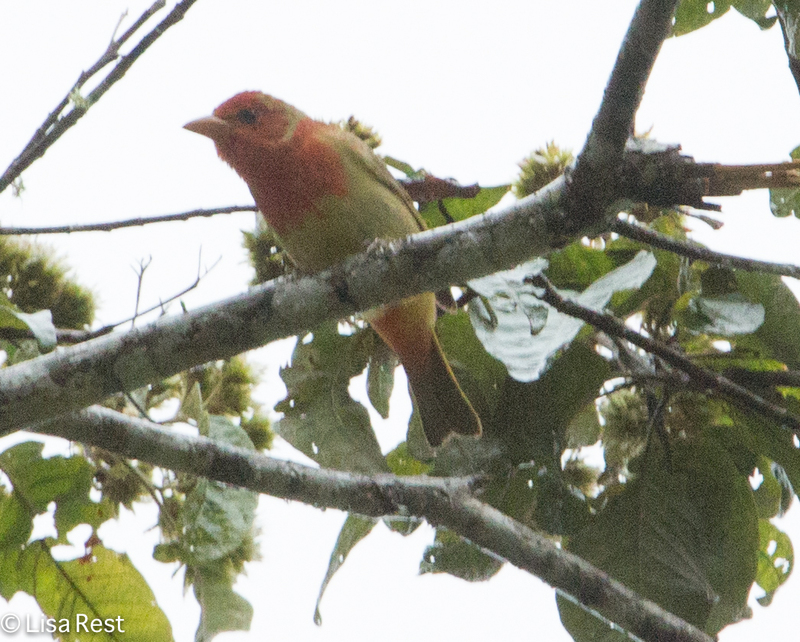 It’s seems strange, though, to see a neotropical migrant species like the Summer Tanager on its wintering grounds. 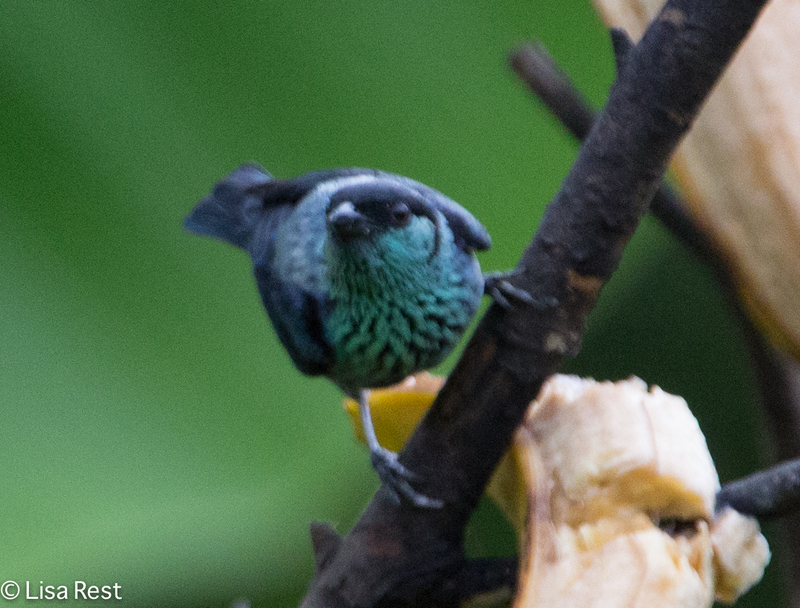 I wish I had a better picture of the Beryl-Spangled Tanager, it’s so unusual. 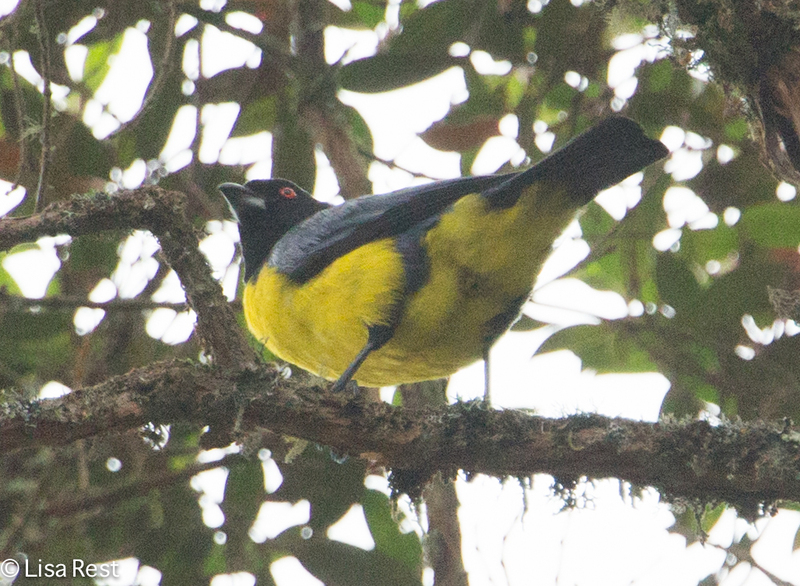 But then almost all of the tanagers are unusual. Feel free to click on any of the pictures to get a larger view. This time I’m going to let the pictures do the talking. I am pretty worn out from work. Cold rainy weather afforded me an excuse to postpone the migrant hunt until tomorrow but we seem to have had a fallout of warblers with last night’s storm, and I want to try catching up with it.